My daughter's birthday party is this weekend. And happily I started planning months ago because I have had no time lately. I do not remember November being this busy in years past. But nonetheless, it has been crazy. I think I could handle the everyday crazy of raising a family, or the everyday crazy of running a law practice, but put them together and I think I am just plain crazy. This year her birthday party is at a local cooking school. If we didn't have cats I would just have the party at our house. But enough people have cat allergies, real or imagined, that we choose to have parties at a different location. The kids will get to make and then eat pizza. They also will make a couple of other dishes. With the cooking theme I decided that the birthday party invitations should be aprons. And this gave me the chance to use my Silhouette Cameo which I just love. I also made fabric aprons for the girls to wear at the party from old quilting fabric I had. That will be a different post hopefully coming soon. When making the fabric aprons I had a stroke of genius. I scanned the fabric I used to make the aprons and printed it on cardstock. Then I used the printed cardstock as the base for the apron invitation. Now the party invitations match the aprons the girls will get at the party to wear. I wonder if anyone will notice but me. On the back of the apron invitation are the party details. I printed these on my printer then cut out the shape to size on my Silhouette using registration marks. That is just the coolest feature. 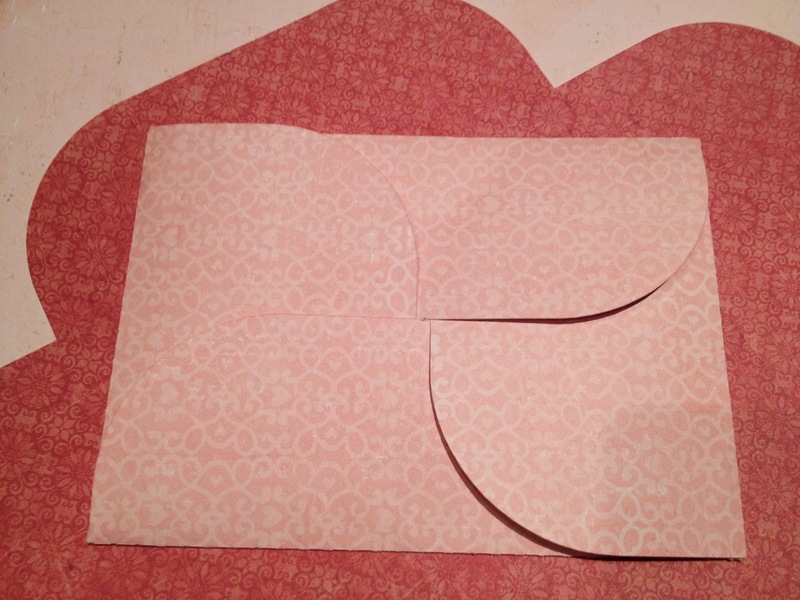 The envelopes are petal fold envelopes which I cut out of various shades of red and pink paper to hold the invitations. Those I handed out in person went in the petal fold envelope alone. Those that needed to be mailed were tucked envelope and all into a greeting card sized envelope. As an extra, all the girls at the cooking party will get their own chef hat. I made names tags to go on each of the hats. I used the pen sketch feature of my Silhouette, a pink glitter pen, and a fun font to make the name tags. You can see the glitter a bit betting in this larger picture. Below is a the hat complete with nametag. I hope the girls like these as much as I do. Now for goodie bags... so much to do, so little time. But is sure is fun! Don't forget to follow me on Facebook and Pinterest.